As I penned that column, the Edmonton Food Bank released a report on Edmontonians who look to the food bank to fill empty stomachs, often due to empty wallets. What they found is somewhat disturbing and distinctly at odds with the idea that “things are looking up” in Alberta. The food bank report repeats a survey of food bank clients conducted in 2015, which was also somewhat shocking, finding 42 per cent of respondents had attended “university, college or trade school.” More than half had an annual household income of only $25,000, 47 per cent ran out of money by the second week of the month, and 70 per cent were not connected to other support services beyond the food bank. And contrary to what the premier says, an update on the 2015 report is not optimistic. The number of people needing food “hampers” (not including meal or snack programs) from the food bank increased by 50.5 per cent from July 2015 to July 2018. In the survey of clients, 72 per cent reported that their 2017 household income was less than $25,000—a jump from 53 per cent in 2015. And one-third of survey respondents have been unemployed between one and three years. 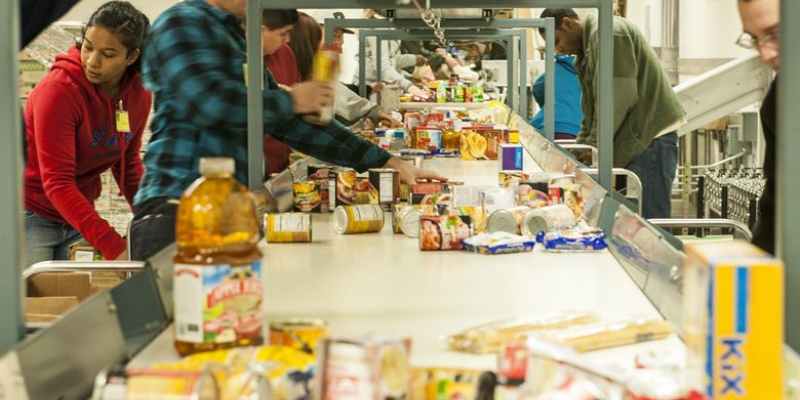 Food banks are but one indicator of economic health in a region, but they are an important one. Whether it’s private-sector employment, vacancy rates in the downtown core (especially Calgary) or people needing food, it’s clear Alberta has a long way to go before we declare victory over the recession.